Dank Memer is packed full of memes, fun, and unique experiences! Whether you gamble, steal from your friends, check the latest hot memes, roast your friends, create your own memes, or use one of our other 260+ commands, come see why we're one of the fastest growing discord bots around! 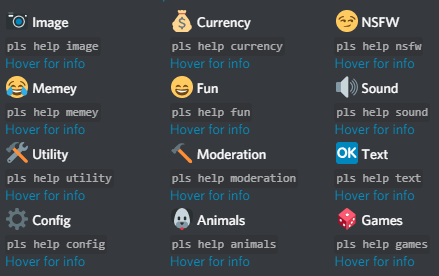 With over 260 commands spread into 12 different categories, come see why so many discord users love us!